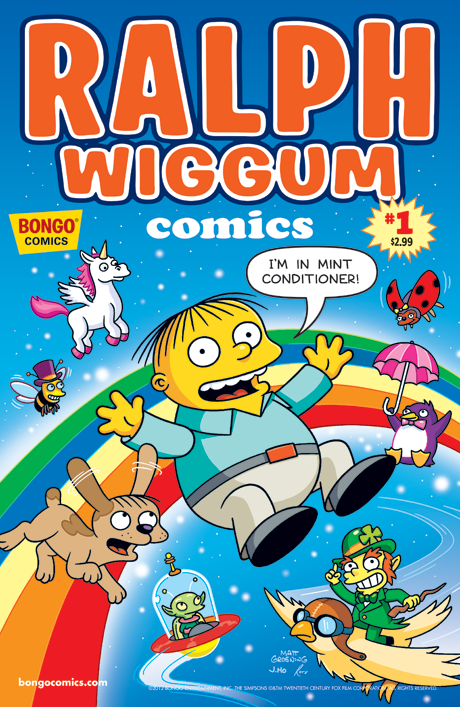 In the first of Bongo Comics’ soon to be legendary Simpsons One-Shot Wonders, Ralph Wiggum takes center stage. In his first solo outing, Ralph has a day off of school, is left home alone, and becomes a role model to a new kid in town. Add in some short features by Sergio Aragonés and watch the chaos ensue.